Even though the program remained, it was restrictive and small, which means that it couldn’t provide appropriate and relevant results that could be considered as general proof. It covered the conditions of Migraines, and some people stated that they were more productive with safer access to pot. When it comes to scientific evidence that cannabis can treat headaches and severe migraines, the first proofs back a few thousand years ago from manuscripts of the Mesopotamia region. They stated the advice that cannabis is appropriate for binding the temples, and that is the first study of weed for headache relief based on the research centers from all across the globe. During the Ancient Greek times and Middle Ages as well, people used weed as the perfect remedy for cranial pain. The pioneers of Neurology stated that cannabis was also used in the 19th and 20th centuries for the same purposes. However, after the 1930s, during the political campaign with the idea to combine weed with madness, the clinical and medicinal uses declined significantly. After 1970 when the US Controlled Substances Act decided to label cannabis as Schedule I drug, it provided the idea that marijuana has no medicinal value and only potential for abuse, which means that modern research banned it entirely and no one could use it for anything. 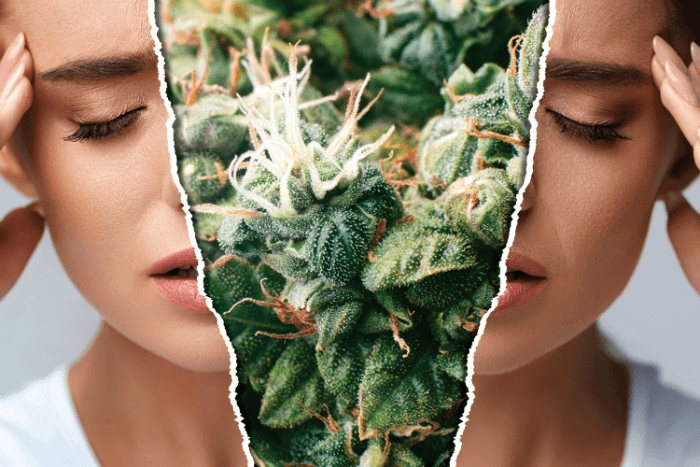 The main problem was that scientists still had only limited knowledge and understanding on how cannabis can help people with headaches and migraines, but according to statistics based on illegal market consumer, the suggestions were in favor. 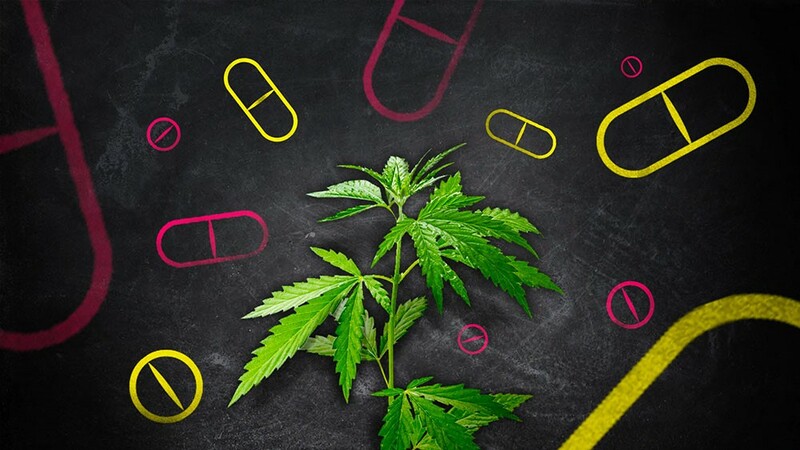 Therefore, people with chronic pain could use cannabis as a healthier alternative to opioid painkillers that could cause severe side effects and addiction altogether. Still, the data is limited when it comes to treating headaches, but the signs are promising so the research will continue and the future will have more scientific answers and proofs. How Does Weed Help With Headaches? We still cannot understand the leading causes for migraines and headaches in overall, so theories can vary from neurotransmitter irregularities especially when it comes to serotonin, or it could be lousy interaction between brainstem and nerves. The brain features the endocannabinoid system, which is a network of reception sites that features chemical compounds that are similar to ones found in weed. Therefore, when we combine these two, it works like a circuit breaker for the brain. As soon as the system becomes overactive, this particular system will try to ease it down, and it can stabilize the entire system in case of a depressing state. At the same time, inflammation can also cause migraines, especially among female patients. 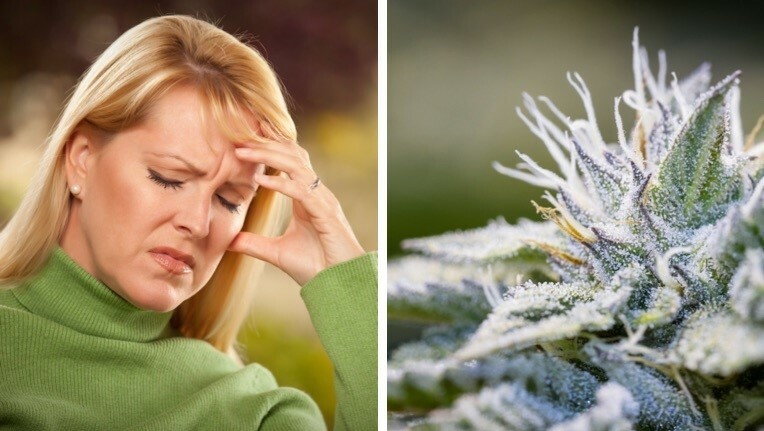 We all know that THC is immunosuppressant and features anti-inflammatory properties, which mean that in theory it, should be an appropriate substance for treating migraines. The first trial that presented the effectiveness of cannabis when it comes to treating migraines happened at Universities of Colorado, and you can check the entire study on this link: https://www.ncbi.nlm.nih.gov/pubmed/26749285. They used a group of adults and provided them the medicinal marijuana with the idea to treat their migraine problems. After the results, the conclusion was that frequency decreased by about 40% and which means that weed is perfect prevention tool. The main problem is finding the appropriate strain as well as the dosage that will help the individual without providing other psychoactive effects of this particular plant. As soon as states legalized the use of marijuana for medicinal and recreational purposes, the percentage of prescription medication dropped rapidly. Therefore, we can say that consuming cannabis can help you come off the narcotics and opioids. How Much Weed Should You Use For Treating A Headache? Everything depends on your specific factors, but usually, the dosage should be 0.1 milligrams of sativa for each pound of the patient’s body weight on a daily basis. The best way to use it without harmful effects and to get the most out of it is through vaporizing. However, it is challenging the find the exact measurements so you have to research a bit and find the perfect strain and dosage that will provide you less pain and frequency but with the ability to stay productive and enjoy in your everyday responsibilities.